Umno splinter party Bersatu is picking up the "bad practices" the former is trying to discard, according to Annuar Musa. "Now that they (Bersatu) are the party in power, the appetite has come back, you see. "So I can see the culture in Bersatu is going to be very bad," the Umno secretary-general was quoted as saying in the Malay Mail. 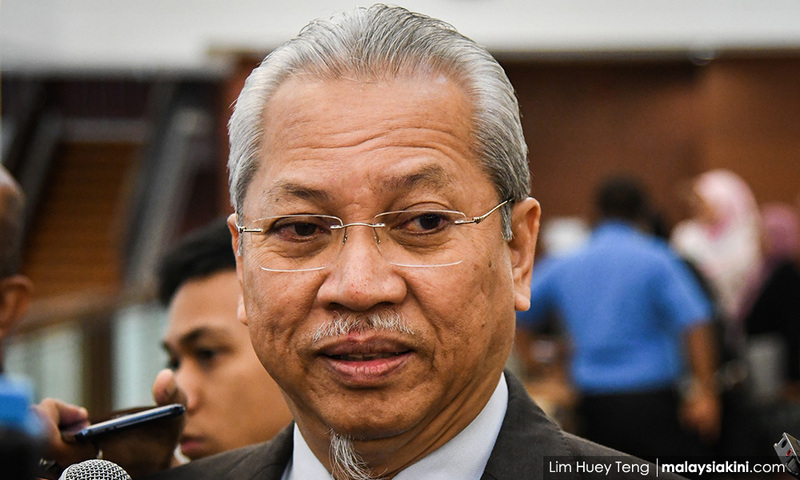 Annuar cited as an example Bersatu vice-president Abdul Rashid Abdul Rahman's call for contracts to be awarded to division leaders to cement the party's position. Rashid's suggestion, made during Bersatu's annual general assembly last December, had received a standing ovation from the assembled delegates. According to Annuar, Umno was attempting to rid itself of this "contract mentality," along with the perception that it was rife with money politics. "For example, people perceive Umno as one that practises money politics, warlord politics, corruption. “This, we must clean up,” he told the Malay Mail, adding that the process of total reform, following its electoral loss in last year's general election, will be long drawn out. Annuar expressed his hope that internal Umno elections would help reform the party. “One of the ways is the natural process of party election, and we hope the members choose leaders at different levels with a new set of values,” he said. So, Annuar Musa admits to the 'daylight robberies' of Umno/BN?